Sungai Besi is looking to be the next property development “hotspot” for local developers, and to a certain extent, foreign investors, according to industry players and experts. According to YTL Land & Development Bhd project director Safian Ibrahim, the Sungai Besi area holds much potential as the next “new thriving address” in Kuala Lumpur due to its strategic location. He notes that it is very well connected and easily accessible via numerous highways as well as railways. “What this means is that Sungai Besi has already answered three of the main criteria of homeowners - location, location, location. The only other question that remains is what type of property they can invest in and its subsequent potential returns. “More people are realising how much the area has to offer and we expect its future to be exceptionally bright,” Safian says. Hua Yang Bhd chief operating officer Ho Wen Yan also believes the area is rapidly developing into an ideal location for property development. “We foresee that within five years, Sungai Besi will become a hotspot, akin to a golden triangle location with its multiple accessibility channels and convenient public amenities. 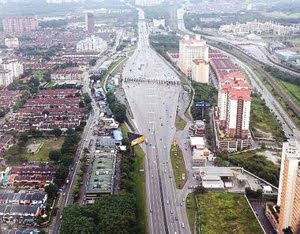 Because of escalating property prices, Sungai Besi and Seri Kembangan are becoming suitable locations, as it is well connected via major highways,” he says. Property developer Hua Yang will be launching its One South mixed development project in Sungai Besi this year. The RM750mil project features residential, commercial and retail components. The development will be carried out in five phases. The first phase will consist of retail outlets and offices. Phases two, three and four will consist of serviced apartments while the fifth phase will consist of offices. For its One South development, Ho says the company is targeting small and medium-scale enterprises and office tenants that were looking to upgrade to a newer working environment and lifestyle. 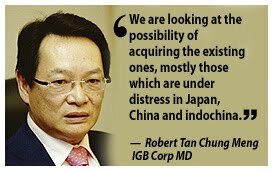 He also says the company has been looking for a suitable piece of land to develop in the past three years and has identified Sungai Besi as a suitable location. Ho says more people are choosing to live outside the KL city and Petaling Jaya area due to escalating property prices and congestion, making Sungai Besi and Seri Kembangan ideal. “To make property purchases more accessible, more developments choices need to be given to the surrounding and existing residents in that area, as they look to upgrade their lifestyle. “Waiting for the Government to upgrade infrastructure such as roads and public transport may take time and private sector-led projects (need to) strive to provide what the market needs. 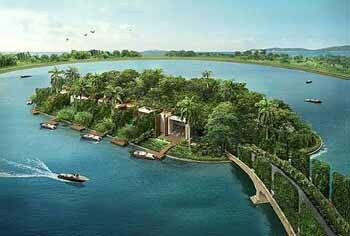 YTL Land has been present there since 2005, when it launched its Lake Fields project, a joint venture with Employees Provident Fund, comprising a 70ha residential development that fronts a 6ha lake. “The project was initially earmarked for high-rise condominiums, but from our market research, we noticed that the majority of homes in the area were already made up of condominiums like in Desa Petaling and Seri Kembangan, and matured neighbourhoods like Kuchai Lama and OUG. “So we decided to fill this gap in the market with landed homes set in a modern, landscaped environment. Coupled with the advantages of having a strategic location, public transportation and surrounding amenities, we decided that the concept for Lake Fields is all about spacious, convenient, modern living. According to Safian, the first phase of homes, Meadows & Glades, which was launched in February 2005, was a tremendous success. “All 514 units of the three-storey link homes were snapped up overnight demonstrating homeowners' need for spacious homes,” he says. The development of the Sg Besi Royal Malaysian Air Force (RMAF) air base is another positive factor. The Government is redeveloping that 162ha into an integrated commercial hub. 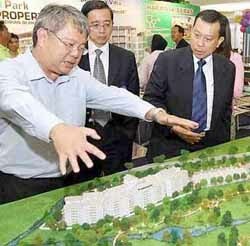 Association of Valuers, Property Managers, Estate Agents and Property Consultants in the Private Sector Malaysia president James Wong believes this would present an opportunity for property development in that location. 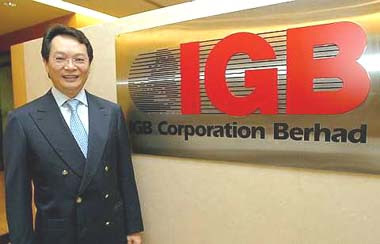 “The Government has the avenue to make Sungai Besi a destination for property investment,” he says. Richard Chan says he is hopeful it will be developed with an environmental emphasis. Malaysian Association for Shopping and Highrise Complex Management advisor Richard Chan is hopeful that the area will be developed with an environmental emphasis. “There is simply a lack of green within the Klang Valley area. It's so congested and concrete-looking, it doesn't look nice!” He says part of the land could be turned into a recreational or fruit park. Ho believes the re-development of RMAF base will be the catalyst for the growth of the southern part of the Klang Valley. 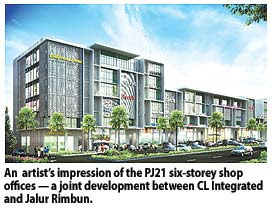 “A commercial centre is ideal as the site is surrounded by mature residential areas such as Cheras, Bukit Jalil, Serdang and Seri Kembangan. Furthermore, all the major infrastructure is in place, such as highways and public transport. “There will be a definite spillover effect. We expect aggressive growth in that area,” he says. Safian believes it would raise the profile of Sungai Besi significantly. These days a mere few months will make a lot of difference and this is obvious even in the property market. The stronger economic rebound in the region is once again threatening asset bubbles in various Asian cities. One of the obvious reasons for the jump in residential property prices is the big movement of people around the globe these days. Foreigners are making up a big group of the buyers in major Asian cities from Shanghai to Singapore. It will be just a matter of time before the trend catches up in the other cities, including Kuala Lumpur. Penang's popularity as the choice for foreign participants of Malaysia, My Second Home programme is already seeing a big jump in foreign buying interest in its property market. The high savings rate among Asians and their yearn for property as an investment asset is also another factor. The under-performing equity markets and low bank savings rates are also not providing people with spare cash to invest with other better viable choice. To the layman, creeping property prices mean more expensive homes and higher costs of living. The lower-income group will be the most hard hit by fly-away property prices. To curb overheating, China and Singapore have already imposed higher downpayment requirements for mortgages. There is a high correlation between property prices and liquidity, and to avoid excess liquidity in the system, their governments have no choice but to tighten credit lending and raise interest rates. These measures will also aid in stabilising inflation. China has recently raised downpayment for first-time homebuyers to 30% (from 20% previously), while second-home borrowers have to pay a 50% downpayment. To curb speculative activities, it has also re-imposed the 5.5% transaction tax for properties held for less than five years. Malaysia also has to be wary of the possibility of an asset bubble brewing although the Government had also acted by imposing a 5% real properties gains tax. Given the strong surge in property demand in the last six months or so, this has not acted as a big deterrent to curb buying and selling activities. As developers are still continuing with their housing packages and allowing low downpayment of between 5% and 10%, entry cost is still very low for property buyers. Moreover, they will only have to start servicing their loan only upon vacant possession of the property. While those who have built up a comfortable portfolio of property assets will benefit from the value appreciation of their assets, many Malaysians are finding it hard to buy reasonably-priced landed property these days. Kuala Lumpur and Klang Valley folks are certainly among those feeling the pinch. 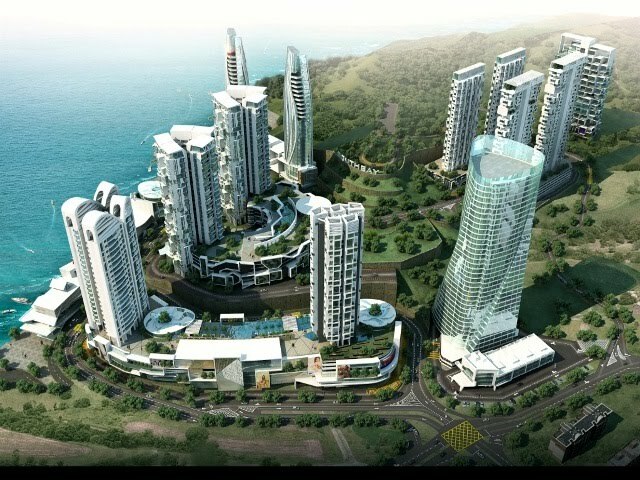 Penangites have also seen one of the more pronounced property price increases as land on the island is really getting scarce and the number of landed housing projects is getting fewer. New condominiums there are averaging RM600 to RM700 per sq ft, semi-detached houses and even terraced houses with some land are priced at more than RM1mil while bungalows are from RM3.5mil to RM4mil. No wonder many island folks have no choice but to opt for medium-cost apartments. The liberalisation of the local property market has opened up a bigger catchment customer base and created more opportunities for industry players. In the process, there have been many new developments and project launches that are mostly targeted at the high-end market. There are fewer affordably-priced properties unless one is prepared to travel as they are mostly located in places further away from the city centres. To assist those who find private housing way beyond their means, the Government should work towards a holistic and concerted plan to appoint a dedicated agency to undertake the overall planning on the actual need for affordable public housing in the country and have them built in easily-accessible places. The Singapore model, where all the public housing projects with good community facilities are within a stone's throw from the mass rail transit stations, is a sure winner. It will overcome the problem faced in the country where many low-cost housing projects are not occupied because they are located in very far-away places that do not have convenient public transport link. Deputy news editor Angie Ng believes all Malaysians deserve to live in secure, well planned and managed housing estates, whether they are private or public housing. Property hunters and investors can expect another round of exciting properties to be showcased at the upcoming iProperty.com EXPO at the Mid Valley Exhibition Centre until tomorrow. Organised by iProperty.com Malaysia, the exhibition brings together the hottest local and international properties from India, the Pacific Islands, Bali, the UK and more. Some 50,000 home buyers and property agents are expected to visit the three-day exhibition that also features property seminars by renowned industry experts. Whether one is looking for properties in the heart of the city, by the sea or amidst lush greenery, the expo has it all. Over 100 property developments across Penang, Ipoh, Seremban, Johor and Klang Valley by well known developers such as Gamuda, SP Setia, Mah Sing Group, Mutiara Good Year, Mayland Group, MK Land Group, Dijaya, AP Land and many more will be on display. Also in the lineup are top developers from Penang like Ivory Properties and Belleview Group while famed UEM Land will be showcasing properties in Johor. Experts Michael Tan, Juanita Chin, Dr Peter Yee and Milan Doshi are among the speakers who will be presenting talks during the expo. There will also be topics catering to real estate agents. Tips on selling to investors, closing sales and personal real estate success stories are guaranteed to catch the attention of rookies and veteran agents alike. “The expo is the perfect opportunity for property hunters to view the latest properties in the market,” iProperty.com Malaysia country manager Ken Tsurumaru said. The next expo will be held from July 30 to Aug 1 at the Kuala Lumpur Convention Centre (KLCC) and Oct 23 to 24 at Marina Bay Sands in Singapore. The manager of AmanahRaya Real Estate Investment Trust (AR-REIT), which plans to increase its asset size to RM1.5 billion within the next two years, is in early talks to buy three to four commercial properties. 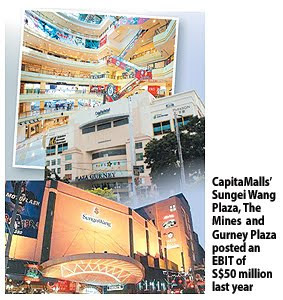 The properties, which comprise office buildings and shopping centres, are mainly in the Klang Valley. "Talks (with the vendor) are at a very preliminary stage. We're hoping to complete the purchase by the middle of next year," said Adenan Md Yusof, chief operating officer of AmanahRaya-Reit Managers Sdn Bhd (ARRM). AR-REIT has an asset size of about RM1 billion, making it the country's second largest property trust after Starhill REIT. The property trust yesterday agreed to lease a warehouse complex in Port Klang to Kontena Nasional Bhd, the national container haulier and logistics services provider, for nine years. The lease will contribute an annual rental of RM2.15 million for the first three years, which is about 3.5 per cent of the total income received by AR-REIT. "There will be a five per cent step-up rental (after the first three years)," Adenan told reporters after the signing ceremony. The warehouse is one of the 15 properties managed by ARRM and one of the five industrial properties in the AR-REIT portfolio. "Kontena has now increased its storage capacity and expanded its services without having to raise funds for construction of new facilities," Kontena's chief executive officer Hood Osman said. It plans to designate the complex as Kontena Nasional Distribution Centre 11, housing 12 units of single-storey warehouses, offices, cold room and open yard facilities. Kontena will continue to offer tenancy to the existing tenants at the warehouse complex in the hope that it will also be able to provide to them its logistics services. The tenants there now include Gudang Damansara, Ikano, Rafsanjan Pistachio Producers, Milawa and Taskar Shipping & Forwarding.